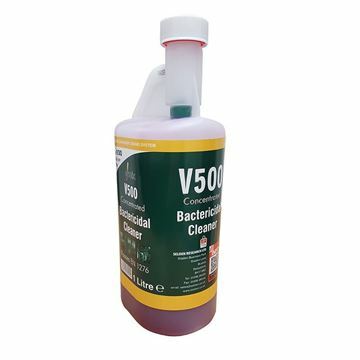 New improved formulation for superior antibacterial and cleaning performance. Food safe-independent reports conclude the product is suitable for non-rinsing applications. Independently tested to EN 1276 on a wide range of bacteria. 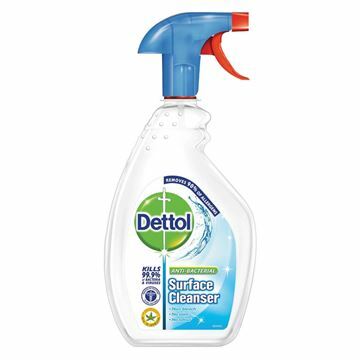 Dettol Surface Cleanser provides 3x protection against bacteria, flu virus and allergens. Kills 99.9% of bacteria & viruses. 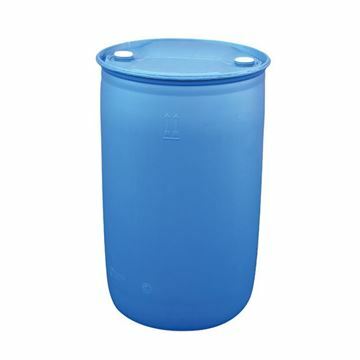 205 litre food safe cleaner. 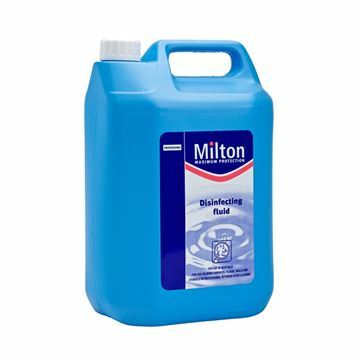 Milton Sterilising Fluid allows you to sterilise in just 15 minutes, killing bacteria, viruses, fungi and spores (tough dormant bacteria). Amphoclen is the ideal cleaner sanitiser concentrate for: food industry, bakeries, confectioners, breweries, abbattoirs, meat processing etc. 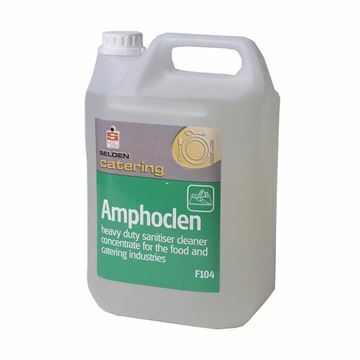 Amphoclen is the ideal cleaner for hospitals, schools, changing rooms, kitchens, restaurants. bars etc. Also ideal for animal handling equipment and vehicles, animal houses, kennels, veterinary buildings, mortuaries etc. 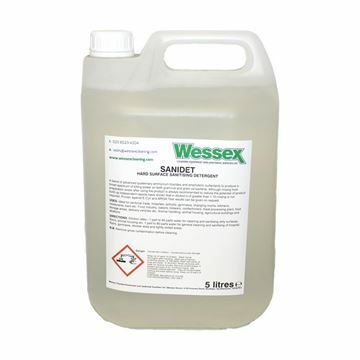 Effective bactericidal cleaning for all catering, healthcare & other hygiene critical areas Achieves EN1276 for High level cleaning, killing common food, healthcare and general pathogens Fragrance free, non-tainting. Suitable for all water washable surfaces. 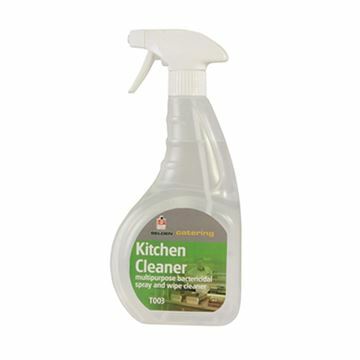 A fragrance free sanitiser, formulated for use where food is prepared or consumed including kitchens, cold rooms, work surfaces, equipment (chopping boards, slicing machines, knives, whisks etc) and cleaning implements (brushes, scrapers, dishcloths etc) Also ideal for use in other applications where germs need killing and surfaces need cleaning. LESS THAN 76p per spray bottle The Solulime spray bottle range takes dose control to a new level. Supplied as a box of 10 easy to use sachets, you simply drop one in the spray bottle, fill to 750ml with water and shake gently.